Located on Jamaica’s north coast, Ocho Rios was once a sleepy fishing village and port but has blossomed in recent years to become a popular Jamaican vacation destination offering an incredible array of family-friendly activities and excursions. Just off its gorgeous beaches, you'll find vast areas of lush rainforest to explore, and a variety of guide companies offering everything from scuba diving to horseback riding, to zip-lining tours. 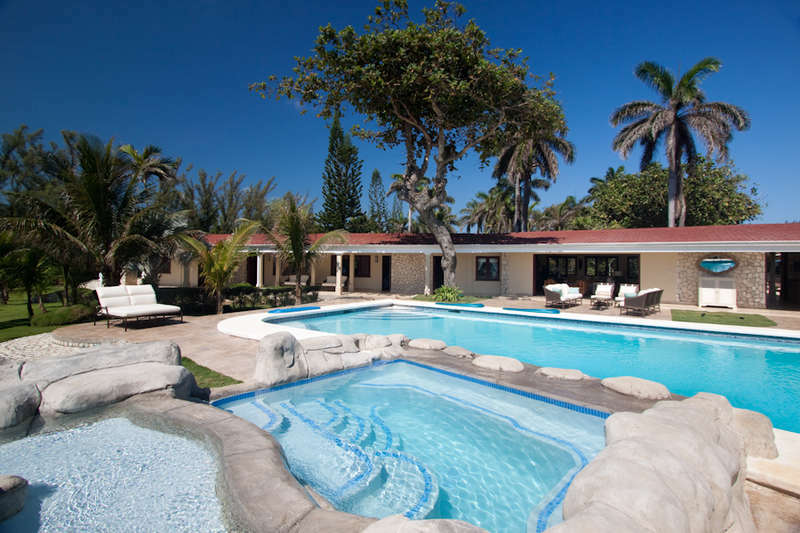 It’s no wonder that luxury villa rentals in Ocho Rios have become as sought after as they are. In spite of its popularity, Ocho Rios has retained its charming small-time tranquility. If your prime motive is to kick back and unwind, you’ve come to the right place. Ocho Rios has a relaxed, beach-oriented focus. Beautiful Reggae Beach is a centerpiece of the area. Dancers, drummers, singers, and acrobats skillfully entertain visitors directly from the fine white sands! Mammee Bay Beach is just a 15-minute drive and offers a magnificent view of the coastline. The must-visit Bamboo Beach Club found there is known for its delicious grilled lobster. Recline on a daybed sipping cocktails by day and dance under the stars around a bonfire by night! Bonus: conditions on this side of the coast are perfect for windsurfing or any other water sport. Double bonus: you don’t need to leave your Ocho Rios villa rentals to get your beach on. Many of our Ocho Rios villas feature private, secluded, stunning beaches of their own. There is no shortage of ridiculously fun, novel, and adventurous activities in Ocho Rios. Climbing Dunn’s River Falls—also known as one of Jamaica’s greatest national treasures—has to be at the top of the list. This 600-foot waterfall, which cascades directly into the sea, is located just outside Ocho Rios, hidden away behind luscious green vegetation, and offers an exhilarating experience for sightseers and thrill-seekers alike. Referred to as a “living phenomenon” by geologists due to its unique ability to continually regenerate itself, combined with its stunning sea location, the Falls are the only one of their kind in Jamaica, if not the whole world. Guided tours are available, and include stops at beautiful lagoons and pools along the way. Driving through Fern Gully, a lush 3-mile tunnel of tropical ferns is another popular excursion, as is swimming with dolphins and stingrays at Dolphin Cove, or bobsledding down Mystic Mountain through the rainforest. While Ocho Rios offers visitors a more casual atmosphere than nearby Montego Bay, there are still many great choices when it comes to nightlife. The town’s bars and nightclubs are well-frequented and enjoy particular popularity during high periods, and when cruise ships dock in the port. Locals and tourists alike mingle in a fun environment with great food and music at the Sports Bar in the Little Pub Restaurant. Stop in for a Red Stripe and a generous helping of jerk chicken! From the modest bars playing reggae on the beachfront throughout the night to the handful of zany nightclubs on Main Street, Ocho Rios’ scene is at once unique and thrives off its gorgeous natural setting. Many travelers will also opt for nocturnal hikes to the waterfalls or walks through the dense tropical forest that surrounds the town, which for many, constitutes an ideal nightlife. And, at the end of the night, the lush comfort of your Ocho Rios Rentals await. Ocho Rios has a restaurant on every corner. You will you find both delicious Jamaican cuisine, as well as a range of tantalizing international offerings. Ocean’s 11 is a laid-back restaurant and bar located close to the town’s cruise ship pier. Their menu is a mix of authentic, traditional Jamaican cuisine, and seafood dishes. Every meal is prepared with the best local herbs and spices, cooked to order, and true to the richness of Jamaican flavor. The famous Margaritaville is one of a franchise of excellent beachfront bar and grill attractions established by celebrity singer and multi-millionaire Jimmy Buffet. The property features a full-service restaurant and bar that serves classic American burgers, salads, and seafood. No to mention, there is a playful swim-up bar serving tasty cocktails. 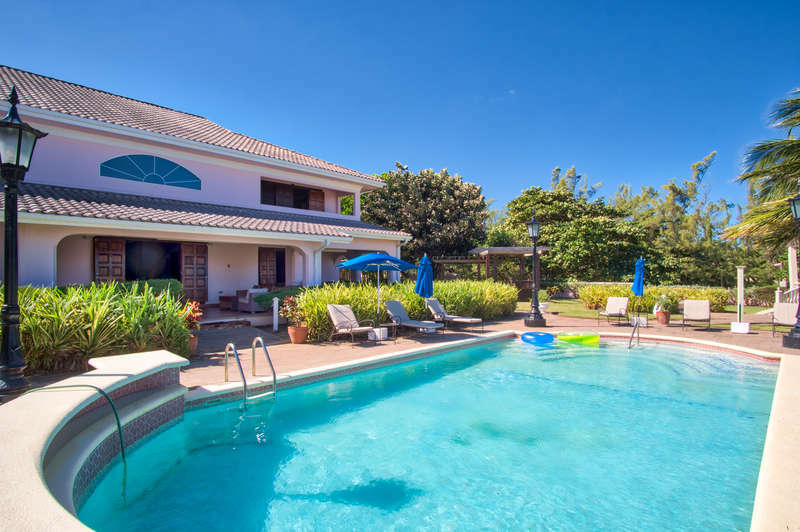 Our Ocho Rios villa rentals are close to all the action, yet tucked away in their own exclusive corners of the stunning landscape. Frangipani takes its name from the tropical Frangipani tree which produces sweet-smelling flowers. Several of these trees surround the four-bedroom luxury villa. Outside, the sun terrace which frames the swimming pool leads you directly to the big blue sea. Villa Rio Chico is one of the finest estates in the world, and that’s no exaggeration. The interior of the main house and cottage on this 14-acre gated property evoke the feel of a chic European boutique hotel. Think true beachfront luxury combined with lavish gardens and waterfalls, all set along a 2000-foot protected shoreline. In Jamaica, tipping procedure differs from place to place. Most Jamaicans will appreciate the extra income, as wages are generally low, and costs are high. Some restaurants include a 10-15% gratuities charge on the final bill; others do not. Review the bill or ask your server about the charges incurred. If a gratuities charge is not included, tip 10-18%. Do not confuse the 10% service charge that is sometimes added with the gratuities charge, as the former does not go to servers. A 10-15% tip for taxi drivers is customary.